After countless hours of watching YouTube videos on PC building, I've finally made my own build. With all the enthusiasm from watching the videos, my initial plan was to go with something extravagant with RGB LEDs EVERYWHERE, on the motherboard, on the RAM, on the case fans, LED strips and whatnot. After the initial excitement has passed and after realizing the prices and the budget limits, I had to cut on the "bling" in favor off prices and practicality. In this build, I used mostly new components and few old ones that I already had on my old PC, like the case, the storage drives, and few case fans. Case - Antec GX500 Window: The case is a budget case but it is a very decent one. I bought it about 4 years ago with my old PC and I'm very happy with it. If you are looking for air cooling solution, then this case is for you. 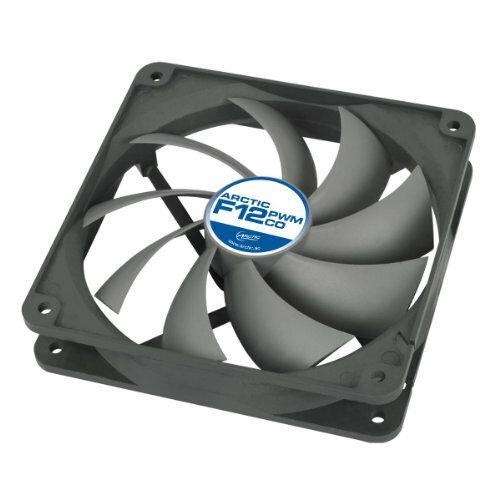 It can hold up to five 120mm fans (2 front, 2 top and 1 rear) so airflow is not a problem. However, if water cooling is what you’re after, then do consider other options since, by the looks of it, there is only room for a single fan AIO unit where the rear fan is mounted. There is no room for 240mm radiator on the top or at the front. 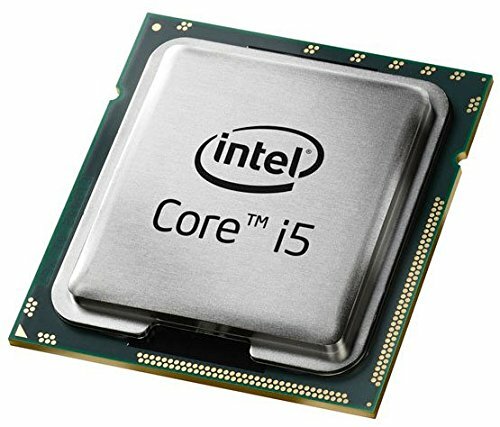 CPU - i5-7600 3.5GHz: Intel, Kaby-Lake, 7th generation processor. I was not planning on overclocking, and an i5 is more than enough for gaming. I’m not an AMD fan, for no apparent reason, so Intel was the natural choice for me. CPU Cooler - CoolerMaster D92: Intel’s stock cooler probably could have handle the temps in a non-overclocked system but it doesn’t handle the airflow inside the case as efficiently as a CPU tower cooler, that can keep the airflow streamlined from the intake fans towards the exhaust. Another downside of Intel’s stock cooler is its looks. It is just so damn ugly. AMD does much better job at making their stock coolers look way more appealing than Intel’s but given the fact that you usually get the stock cooler with the CPU at almost no additional cost, then you can’t really complain about its aesthetics. My first choice of an aftermarket cooler was the popular Hyper 212 EVO. Unfortunately, it was out of stock in my region as well as the newer Hyper 212X, but fortunately enough, it made me come across the CoolerMaster D92, with the dual push-pull fans and the beautiful black-silver finish that blended perfectly with my other components. Yes, it is an overkill for a non-overclocked system but it looks soooo good. Motherboard - MSI H270 PC MATE: Since I used a Kaby-Lake processor, and was not planning on overclocking, the H270 series motherboard was the next best thing after the Z-series, spec-wise. At first, I was considering the ASUS Gaming 3 or the Gaming M3 because of the extra LED features those 2 provide, but since I was cutting on the ‘bling’, I decided to go with MSI’s PC MATE line. I love the simple and clean looks of it. Just a clean black and silver layout that looks kind of ‘high-techy’ with all the functionality I need. Plenty of fan headers. Lots of USB ports in the back panel. Simple 3 audio jacks (line-out, line-in and mic). Good enough for me. RAM - 16GB HYPERX SAVAGE DDR4-2800MHz: I used 2 sticks of 8GB DDR4-2800MHz memory. The H270 motherboard with 7th generation processor can support 2400MHz RAM but it can be overclocked via XMP setting in the BIOS, so I choose the 2800MHz to have some extra speed. The HyperX Savage sticks come in black with silver decals so it was an easy choice. Case Fans: I used Arctic F12 PWM for all the case fans in this build. The F12 is a budget case fan but it is on the higher end, as far as budget case fans goes. The fan is nearly silent at low RPMs and is quite audible when it revs up. Luckily, it is PWM controlled, so I’ve plugged all 5 of them to the motherboard headers and set them up to around 600 RPMs at idle temperatures, gradually increasing speed as temperatures rise, so I can hear them only under heavy load, while gaming, etc. Stay Positive - I’ve set the fans for positive air pressure inside the case, with 3 fans pushing air into the case and 2 fans exhausting hot air out from the case. I used the 2 front fans as intakes, the rear fan as exhaust, and at the top I made a ‘U’ shape air flow, that in theory, should take in air from the top-front fan and push it down to feed the CPU tower fans that push-pull the air through the heatsink and towards the back where it is exhausted by the top-rear fan (and by the rear fan as well). The case has built-in filter for the front fans cover but the top fans cover is unfiltered, as the top fans were set-up for exhaust by default. Since I used one of the top fans as intake and since stuff can just fall into the case through the top case cover, I needed to “MacGyver” some dust filters for the top fans. I’ve found few cheap dust filters online that have pins that snaps onto a standard fan and can be easily removed for cleaning. There was just the right amount of space between the fans and the top case cover for those filters. Snug and tight, a perfect fit. 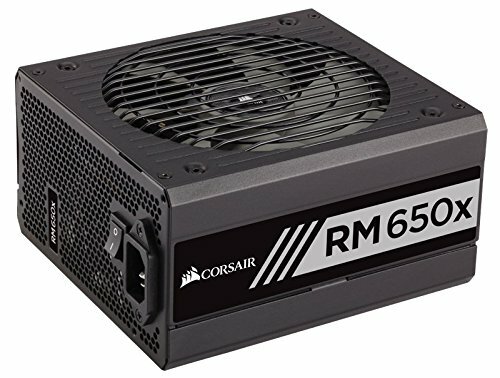 PSU - Corsair RM650x: This fully modular power supply unit has everything I need for this build. It has 80+ Gold rating and 650 watts is enough to power a single GTX-1080 with the rest of the components in this build with a room to spare. Since the case I used has no PSU shroud and not much room to hide the cables in the back, having a modular unit with all-black cables really helped to tidy things up. It also has a black and silver logo on its side so it blends well with the overall color theme of this build. GPU - MSI GTX1080 Gaming X 8GB: Yes, it is RED and it stands out in this black & white/silver theme but I just love the looks of it. In my opinion, MSI’s Gaming series GPUs are the best looking cards out there. It looks really bad-***, with all those heat pipes, rough edges, red LEDs around the fans and the MSI Dragon logo that lights up with any color you want. This is really a beast of a card, eats frame-rates for breakfast. On a more serious note, I planned to buy a 1060 for this build but with all the crypto-mining frenzy, there was a world-wide shortage of those cards, so I had to upgrade to whatever was available at the time. I ended up paying almost double of the 1060 price for the 1080. Storage: I reused the drives I had on my old PC: HyperX Savage 240GB SSD - enough for the OS and few games. 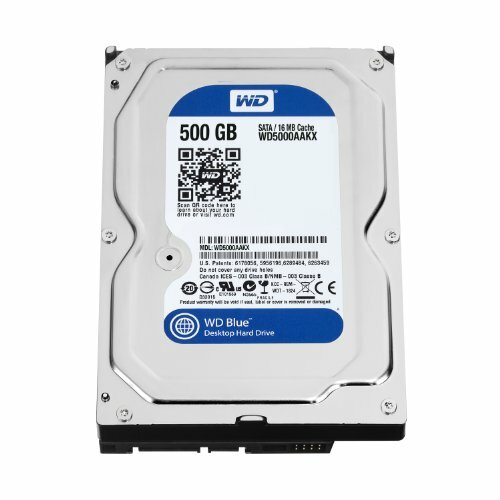 WD Caviar Blue 500GB HDD - for storage. SAMSUNG DVD 3.5’’ drive - not a storage but worth mentioning. 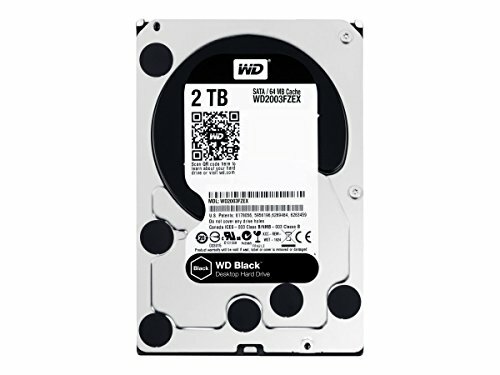 And I bought another 2TB WD Black HDD for additional storage. The WD Black is mounted above the Blue one so it manages to somewhat hide the blue sticker on it and the red color of the SSD drive makes a nice pairing with the red colors of the graphics card, so it all comes together rather nicely in the end. Assembly: The building process went smoothly overall, with few pitfalls (or rookie mistakes from my side). The first step was to prepare the case for installation. It wasn’t a new case so I had to strip it down to the bone. It has been few years since its inner parts have seen the light of day. Spring cleaning was in order. After removing the old components and cleaning the dust, the case was ready for the new parts. The next step was to install the CPU and the CPU cooler. It went smoothly, There were no problems with the cooler, very straight forward installation by following the guide that was supplied with the cooler. Next, installing the motherboard back-plate into the case followed by the motherboard itself (which proved to be a mistake at this point, as I’ve learned later). The Power Supply was the next to get in. There were no problems with the unit itself but when I started to connect the cables, the problem has presented itself. It was an issue with the case, not the PSU. The cutout for the CPU power cable at the top left corner of the case has no clearance for routing the cable’s connector after the motherboard is installed. It has to be routed before the motherboard is installed. So, I had to unscrew the motherboard, route the cable and screw the motherboard back. The same thing happened with the audio connector cable that connects the front audio jacks to the motherboard. There is a cutout to route the audio cable at the bottom left corner, directly below the motherboard’s audio connector, but with the motherboard and the PSU installed, the connector cannot pass through. I didn’t remove the motherboard for this one and simply routed the cable above the PSU. There is a limit to what a man can endure. Then I’ve connected the rest of the case connectors to the motherboard (power, reset, hdd LEDs, etc.) by following the description in the motherboard manual. RAM sticks followed. Then the storage drives with all the appropriate connectors (power and sata). Case fans were up next. I paired the front case fans together so that both fans can use one fan header on the motherboard. I did the same for the top fans. So I had 2 headers feeding 4 fans, another header for the rear fan, CPU header for both CPU tower fans and I was still left with one available fan header and one pump header (not sure if I can use it for anything other than a pump…). After the fans were installed, it was time for the GPU. The 1080 went in with no problems, no clearance issues, width or depth - wise. Cable Management - This case has very little room in the back for cables so everything must be in its place. Luckily, there are a lot of tie-down points, so I was able to do a pretty good job of keeping it all together. The empty 3.5’’ bay at the top (below the DVD drive) has proven itself useful for hiding some of the excess cables. It came out nice and tidy. Overall, the build went smoothly, with only few cable routing issues in the way. I am considering few more upgrades for this build, mainly for the case - maybe building a custom acrylic windowed panel and a custom PSU shroud. Replacing the rear PCI slots covers with more ventilated ones that can be screwed in. I enjoyed making this build and writing about it. Thank You for reading and feel free to leave any comments you may have. Great build! Love the write up and the detailed pictures. Looks like it'll be a good computer that will last for a few years. I like how you tied all the components together. Nice first build for sure. Awesome build. I can't believe people are suggesting you upgrade, you just bought the sh$#! Watch some 6th and 7th gen i5 non k against i7 and ryzen on youtube. They usually get close to the i7 and beat ryzen on most. I have a very similar set up and you can definitely go online and talk yourself into more, but I think your build is gorgeous and more than enough unless you're going high end computing or need 1080p+ streaming. Bravo on the build and have fun with it! Thank's for your feedbacks. I built this mainly for gaming, so an i5 is good enough for that purpose. Could not justify the extra cost of an i7 for this build as i had to upgrade to gtx-1080 from a 1060 that was almost double the price.